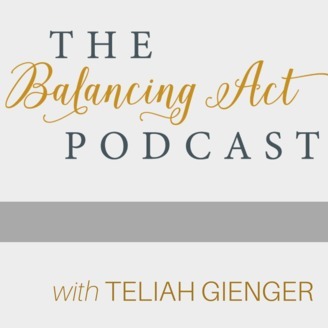 WELCOME TO THE BALANCING ACT PODCAST. 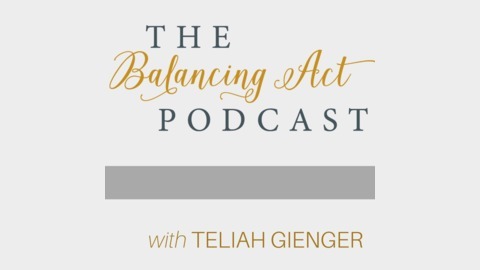 THIS PODCAST IS DESIGNED FOR THE WIFE, MOTHER AND ENTREPRENEUR. JOIN ME AS WE INTERVIEW SUCCESSFUL ENTREPRENUERS ON THEIR KEYS TO SUCCESS AND BALANCE IN LIFE AND BUSINESS. Sunit Suchdev is a wife, mom of twins, and lover of fashion and all things healthy and pretty. Her passion is to inspire first time moms to be, to be better prepared for motherhood and more mindful and purposeful in their parenting, so they can grow great humans without losing themselves. After experiencing a lot of other moms telling her all the things she would no longer be able to do once she became a mom, Sunit decided not to let those become her limiting beliefs. When she became pregnant, she took a methodical and careful approach to her planning-one that focused on examining her self, her marriage and her values, to create a parenting plan that worked for her family. Now she inspires other moms do the same. You CAN have it all. If you are a woman with an amazing life who wants to be inspired to keep it all, you’re in the right place. You CAN parent on your own terms and feel confident while doing so! Sunit’s mission in life is to inspire moms everywhere to take care of themselves first, prepare well and parent with purpose all while they live healthy and happy lives. Healthy, happy moms raise healthy, happy kids! You really CAN have it all as a mom.